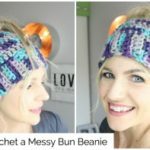 I’ve got a really cute and simple crochet headband and free pattern to show you how to make today! 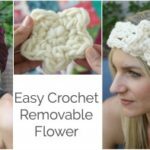 This is a great beginner crochet headband and you can adjust the width to your liking. 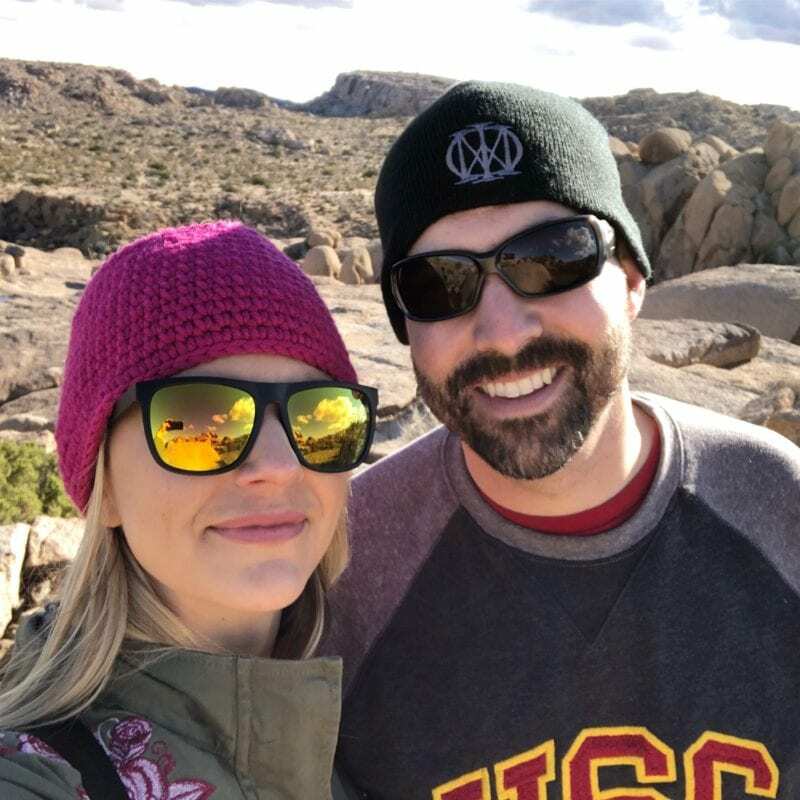 My husband and I recently went to Joshua Tree on a getaway weekend to celebrate our 12th Anniversary. 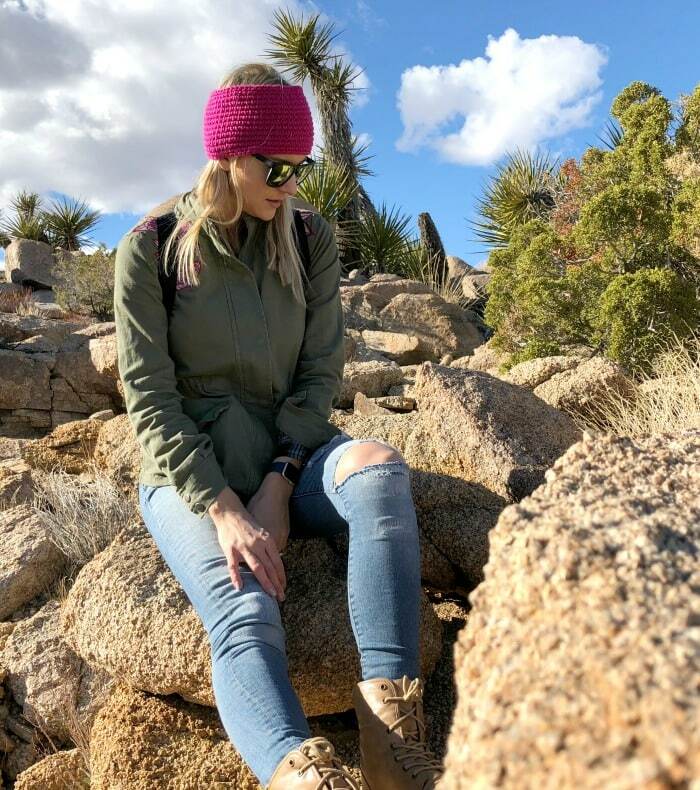 When we got out there, I had brought a hat but I realized that a crochet headband, especially a wide one, would be more comfortable on our hike – good thing I brought some yarn with me! 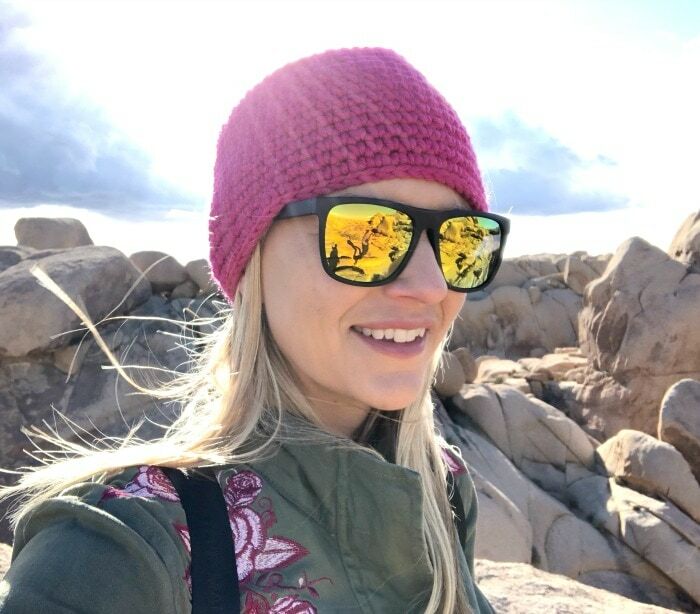 I made this crochet headband pretty quickly on the Saturday morning of our trip. 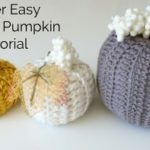 This pattern works for any type of yarn, I used a size 5 yarn and a K crochet hook as recommended on the package. 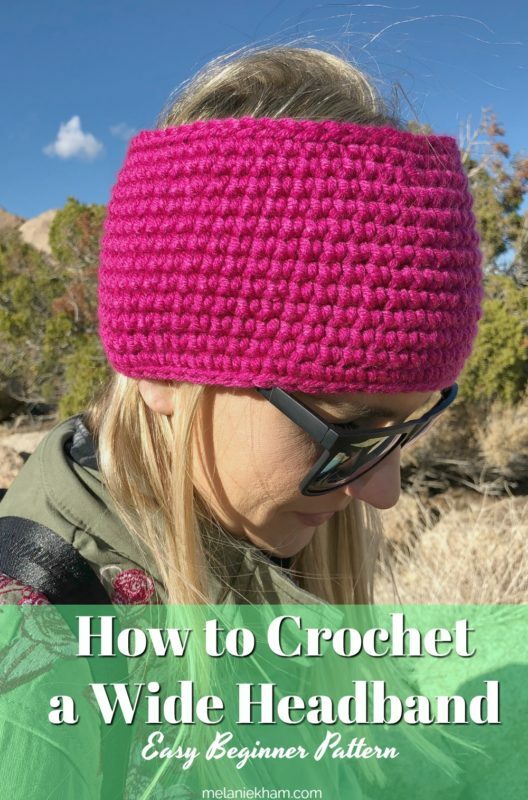 Looking for a crochet hat pattern instead? Try THIS ONE. My crochet headband is 4.5 inches wide, of course you can adjust this. 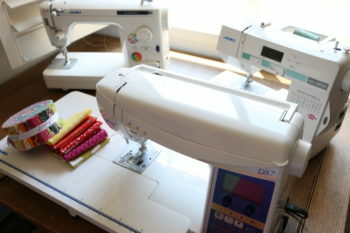 sc (UK: dc) = insert your hook, yarn over, pull through, yarn over, pull through the loops on your hook. Carefully connect the 2 ends without twisting the chain to create a circle. ch 1, sc in each chain all the way around. 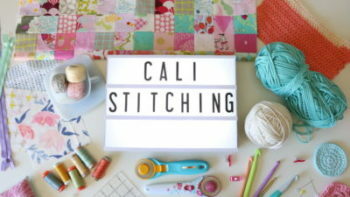 Once you complete the round, slip stitch to connect and ch 1. Sc in each stitch all the way around and continue in this manner until you have crocheted about 3 inches wide. Continue with your sc stitches, but along the back of the headband, add 2 decreasing stitches per round to bring the headband in a bit so that it follows the head shape. note:I consider the back the spot where you joined the foundation chain. sc dec = insert your hook, yarn over, pull through, insert your hook into next stitch, yarn over, pull through, pull through all 3 loops on hook. Do a last round of slip stitches in each sc around the edge to give it that finished look. Fasten off and weave in the ends. Optional: Attach your yarn back to the first foundation chain and do a round of slip stitches to finish it like the top edge. Fasten off and weave in ends to secure with you yarn needle. What do you think of my impromptu crochet headband? My ears were quite happy about this addition to my wardrobe, it was a really chilly and windy day! The hat I had brought had too much of an open weave, so I needed some more solid warmth and ear coverage. Full hats bug my scalp sometimes, so since I knew I would be wearing this all day I opted for a wide headband. Need a scarf to match? Check out this easy scarf. 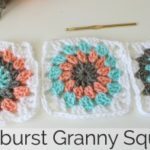 Here’s a pretty pinterest photo if you want to save it to your crochet board.